There’s a new tenner in circulation, which means any business that processes bank notes needs to make sure its equipment is able to handle it. The new £10 polymer note, which started dispensing through bank machines on 14 September 2017, offers a more secure, clean and environmentally friendly alternative to the current bank notes. It is also tougher and able to last up to two and a half times as long, so will prove to be a more cost-effective option in the long run. On the front of the polymer £10 note, where there is raised print, there are two clusters of raised dots in the top left-hand corner. 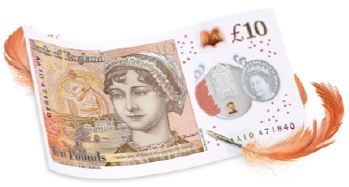 This tactile feature helps blind and partially sighted people identify the value of the note. How long will the old £10 note be around for? The Bank of England will gradually withdraw the older, paper £10 notes, featuring Charles Darwin, as they are banked by retailers and businesses. Everyone can continue to use these until all are withdrawn from circulation in Spring 2018. Notice will be given at least three months prior to the withdrawal date. Genuine Bank of England notes that have been withdrawn from circulation retain their face value for all time and can be exchanged at the Bank of England. Resellers can advise businesses that handle cash through any kind of machine to check whether these machines can be updated to accept the new polymer notes. Whether it is a machine that weighs, sorts or counts notes, or if it is a business with tills or ATMs, machines must be able to handle the new polymer notes. Business owners will also need to ensure that their staff members are trained, confident and up to speed with using the new machines. 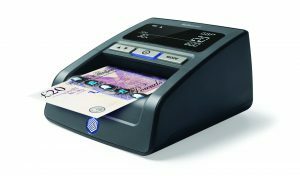 Resellers can advise their customers of a number of Safescan cash handling machines that are polymer ready. For more details please contact your VOW account manager or email marketing@voweurope.com. Posted 12:39 pm by Darren Phillips & filed under Facilities Supplies.